The senior manager for health and safety of the world’s largest grower of tree nuts was the featured speaker at the Southeastern Coastal Center for Agricultural Health and Safety’s (SCCAHS) fall seminar at the University of Florida campus on November 15th. 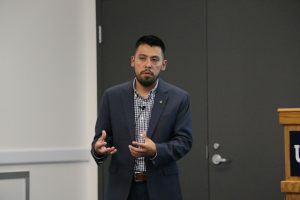 Jose Perez, senior manager for health and safety for The Wonderful Company, shared his experience on how to support and create a culture of safety in the agricultural workplace. His presentation took place on Nov. 15 from 12:00 p.m. to 1:00 p.m. at UF’s J. Wayne Reitz Union, Room G320. 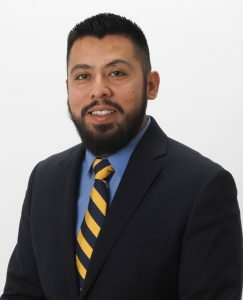 Perez discussed how he incorporates servant leadership to promote a safe work environment that is employee-driven. He will also shared how leaders at different levels of The Wonderful Company are empowered to improve workplace safety and help grow a culture of safety in the industry. The Wonderful Company is a food and agribusiness company which grows, harvests, bottles, packages and markets a diverse range of agricultural products, including fruits, nuts, flowers, water, wines and juices. The company began a culture journey towards improving workplace safety in 2015, Perez said. The Wonderful Company’s diverse holdings make it the world’s largest grower of tree nuts, America’s largest citrus grower and the world’s largest flower delivery service with the Teleflora network of florists. Researchers with the SCCAHS work to promote occupational health and safety among the 240,000 farms, estimated by the U.S. Department of Agriculture to be operating in the region, their operators, families, employees and contractors, as well as those in the forestry and fishery industries. SCCAHS is part of a Centers for Disease Control and Prevention/National Institute for Occupational Safety and Health (CDC/NIOSH) Agricultural Health and Safety Initiative. SCCAHS explores and addresses the occupational safety and health needs of people working in agriculture, fishing and forestry in Alabama, Florida, Georgia, Mississippi, North Carolina, South Carolina, the U.S. Virgin Islands and Puerto Rico.